عندما تزور ملبورن, ستشعر أنك في بيتك في فندق ألتو أون بورك الذي يقدم لك إقامة متميزة و خدمات عظيمة. إن موقع الفندق الاستراتيجي، الذي يبعد 0.01 km فقط عن مركز المدينة، يسمح للنزلاء بالوصول سريعاً وبسهولة إلى العديد من الوجهات المحلية المثيرة. كما يمكن الوصول بسهولة إلى ‪St. Augustine Church‬, ‪Water Tower Clock‬, Spencer Outlet Centre. إن الخدمات الممتازة وحسن الضيافة العالي في فندق ألتو أون بورك تجعل إقامتك تجربة لا تنسى. يمكن لضيوف الفندق الاستمتاع بالميزات التالية على أرض الفندق: واي فاي مجاني في جميع الغرف, محطة شحن السيارات الكهربائية, خدمة التنظيف يوميًا, خدمة غسيل ذاتية, مكتب الاستقبال على مدار الساعة . تنعكس أجواء فندق ألتو أون بورك في غرف الضيوف.تلفزيون بشاشة مسطحة, اتصال لاسلكي بالإنترنت, اتصال لاسلكي بشبكة الإنترنت (مجاني), حوض الاسترخاء, غرف لغير المدخنين هي بعض الميزات الموجود في العديد من الغرف. كما أن مجموعة الخدمات الواسعة الموجودة في الفندق لضمان راحتك تترك لك الكثير من الخيارات لقضاء وقتك أثناء فترة إقامتك. إن كنت تتطلع إلى إقامة مريحة وهادئة في ملبورن، فستجد في فندق ألتو أون بورك بيتك الثاني. Ageing hotel but with a homely feel & very conveniently located--easy walking distance from SKYBUS depot. Good coffee (plus fruit &lollies) available 24 hrs at no charge. Excellent breakfast. Friendly staff. would definitely stay again. Loved staying here. Was close to a range of public transport. Modernised but still retained its old world charm. Will definitely book here again and it wasn't just because of the free lollies in the dining room. Would love to stay here during winter with the fire going and play the board games they lay out during the day. Thank you Alex for your feedback, it really sums up al the hidden gems of our hotel! Please do come again! Hotel was more like European hotels than American. Small room with no storage space. Had an elevator and breakfast area. Very nice front desk personnel at all times of day. Close to bus terminal CBD Melbourne. Hello Jessie, Thank you for your feedback. We do have 10 room types ranging from 18-90 square meters and have different space allocations. If you do come again, please see reception as we do the best we can to accommodate. Thank you again! Hello Renee, Thank you for your feedback, we are sorry to hear the kids didn't enjoy their stay. We do try to cater for all including a lolly buffet for the kids. Thank you again! The Alto has everything you want and nothing you don't. A very comfortable, modern room with a great bathroom. There is a bar downstairs if you need it and the staff go out of their way to be helpful. Really is only 2 mins from Southern Cross Station and the airport buses. Just really liked this place. From the moment I checked in, room was ready earlier than expected, staff super friendly, room had everything I needed. I wasn't used to the trams starting so early so I left my window open and heard them early. However loved my stay here. Stayed for one night only but would recommend this hotel to anyone coming to Melbourne. Very close to the SC Railway Station which was great as we had some luggage to transport. Complimentary drinks and snacks were provided in the evening which was a welcome addition after a long day of sightseeing in the city. Great staff, very friendly and helpful which made for an enjoyable visit. Would not hesitate to book this hotel for a return visit! Hello Ian! We do a way of surprising our guest, thank you for choosing to stay with us! The hotel is near Southern Cross Station. There are numerous restaurants around the area. The hotel itself has a small kitchenette which is very convenient for heating food. Perfect location - 5-minute walk to Southern Cross Station, about the same to Collins St tram station, convenience store and restaurants are just a few buildings away, and a film shop next door, which is beyond expectation for film camera lovera. The staffs are all friendly and super supportive. I had forgot to inform the hotel that I would love to check in early, but when I arrived before 10AM, the lovely lady at the front desk helped to prepare my room immediately. Just a quick note: bring your pajamas with you. Very happy with my stay at Alto. 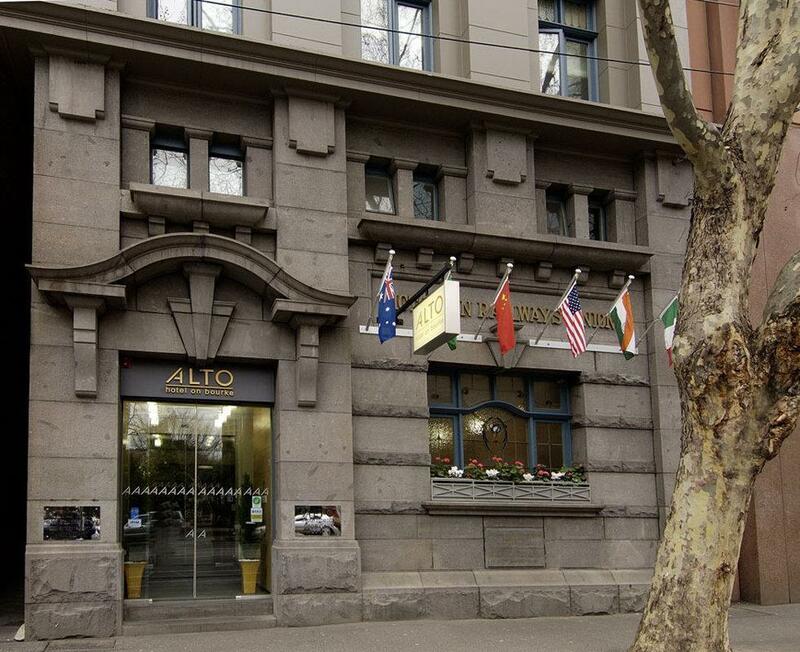 The location is perfect near to Southern Cross Station and easy walking distance to city center. If you are lazy to walk, the tram stop is just 1 min from the hotel. Staff is very helpful, they allow me for early check in which is very much appreciated after a long 8+ hours flight. Highly recommended and will not hesitate to stay here again if I happen to be Melbourne. Loved staying in this excellent boutique hotel. 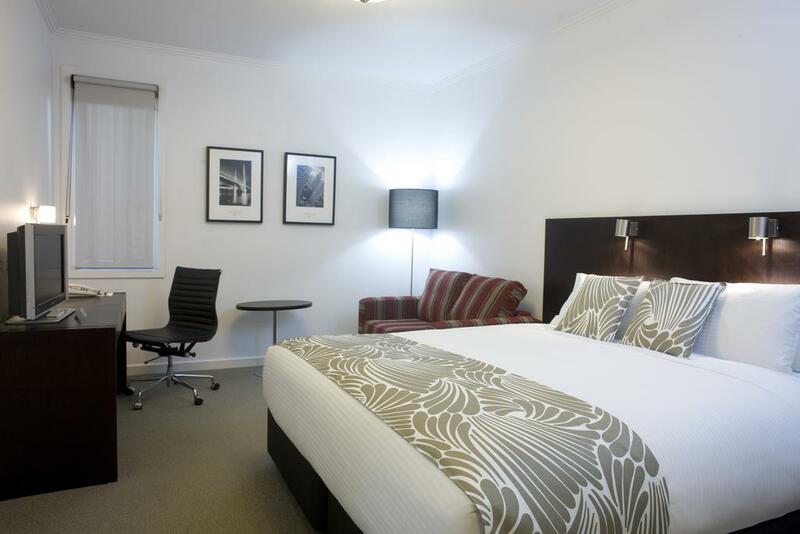 The location on Bourke is pretty much in the heart of the CBD and all the main attractions are walkable. The room comfortable and well appointed with fast WiFi. The longe area in the lobby has free coffee and sweets and a selection of board games. Staff were helpful. Strongly recommended. Was running out of Melbourne options on the cup weekend but found this little gem. Fantastic location, super knowledgeable and friendly staff. The hotel is very central yet well insulated and quiet - both room to room, and from street noise. Free weekday drinks and complimentary apples are a sweet touch. Nice Melbourne modern deco style aesthetic. I would definitely stay again. A brilliant stay and experience and thanks so much to the staff for forwarding on our lost package this just rounded off a fantastic experience. Thanks Alto! Clean and convenient hotel. Tram and train stations are right at the doorway. Car park is a bit small and accessed from a narrow back lane. Extra care is required for parking. It was a nice stay overall. Within just a min walk to the Southern Cross Tram Station, it brings us to the Bourke Street shopping district so conveniently. Love the room as it feels like home with well equipped facilities. The staff is also very friendly and helpful. Well done Alto! Nice hotel that close to where I need to work, its clean and tidy. Dining was nice. Free internet access is a nice touch(good job Alto) that many other large hotels still charge(such a dated practice, shame on them). I'll gladly return to Alto on Burke.